.....and the Small Yellow Glitter Clothespins. I got a jump start on some Easter cards and packaging and here's what I created. 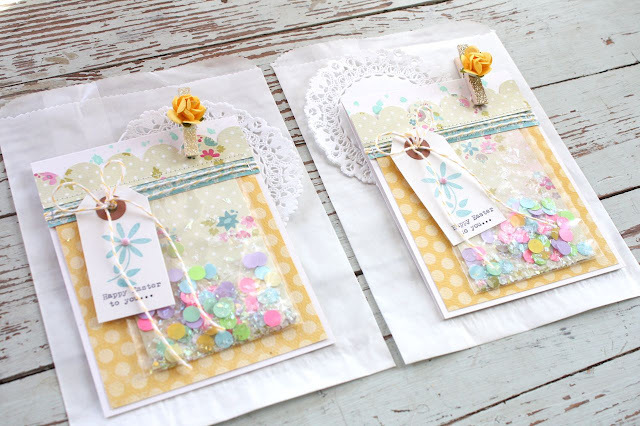 Some fun cards using confetti bags as a focal points and some simple packaging. 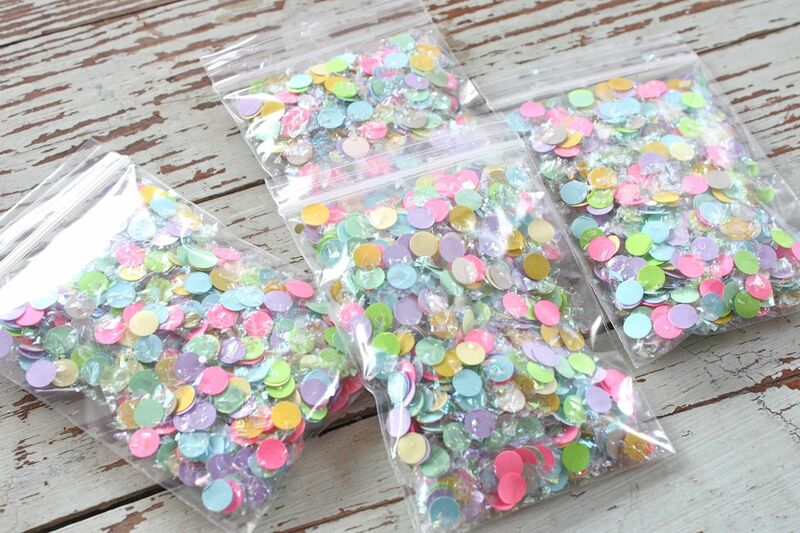 I used about a teaspoon of the confetti fluff in each clear bag...the bag you get comes with about 3 heaping tablespoons so there is lots to work with for cards. For my cards I used some new My Mind's Eye papers and stamps. I stamped the whimsical flower onto Small White Parcel Tags. 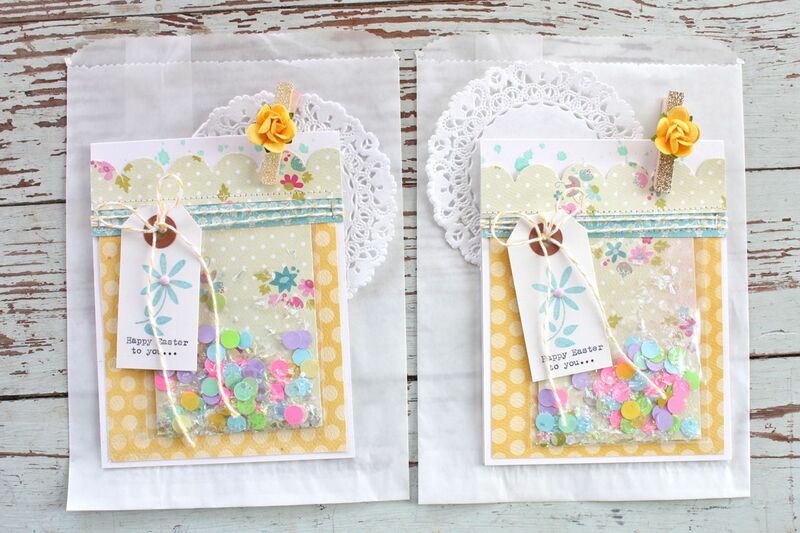 For packaging up a fun springy gift, I used Large White Glassine Sacks and Dainty Doilies. 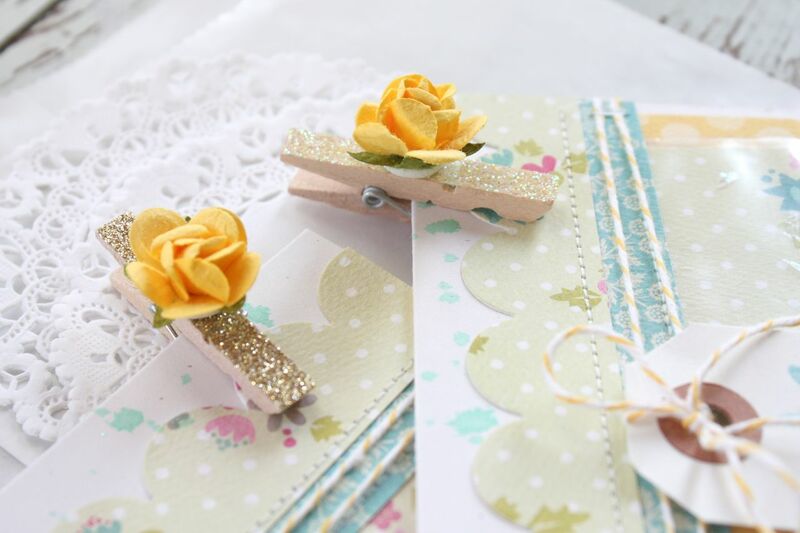 For cute little clips, I used a Small Yellow Glitter Clothespin and a Glittery Gold Clothespin. I just added some paper flowers to top them off. If you want to create your own colored, glittery clips I also have plain clothespins in the shop. Cute and springy cards for my stash. I'm thinking some fun sugar cookies with lots of pastel sprinkles might be a fun treat for the sacks. For another treat idea, have you seen my Peep Show Cookie Jars? This post has been pinned a bunch on Pinterest lately so I thought maybe it was worth sharing again. The actual blog post is here with the recipe. 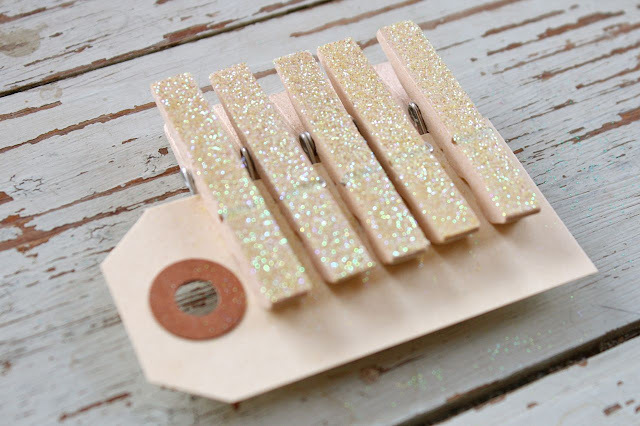 I think I'll make up some of these for the little kiddos this year. Here's hoping Spring will be here soon. Enjoy! 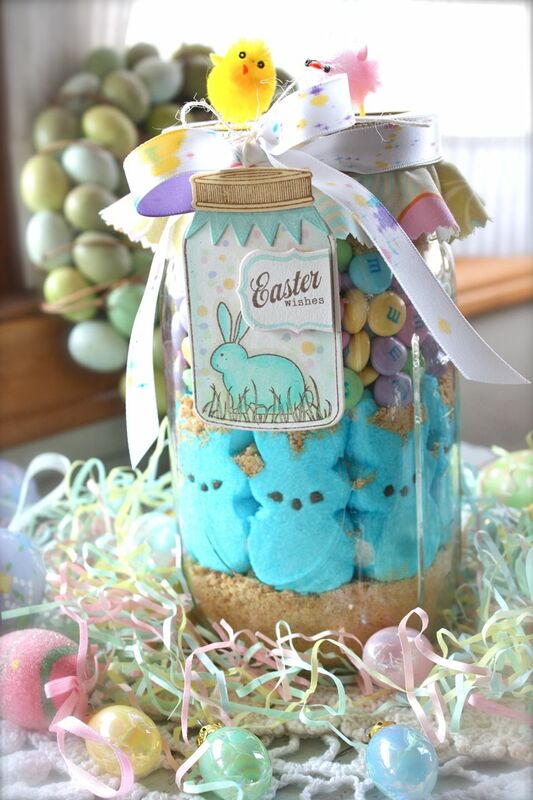 love your Easter creations! so cheery and joyful. the cards look great. they remind me a bit of shaker cards. How I love this card! Very attractive and eye-catching. It actually caught my eyes! LOL. 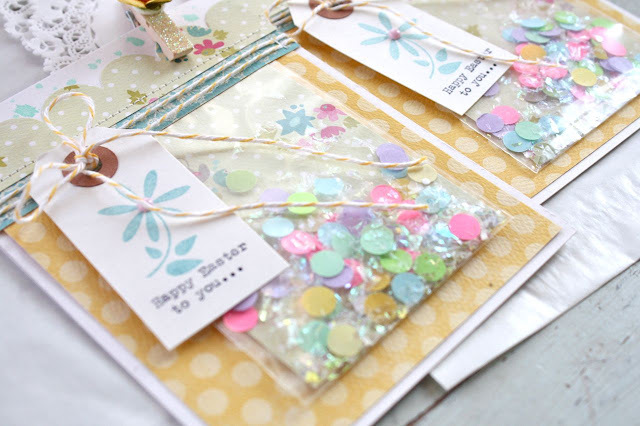 With the heartfelt easter messages, that would surely make a lovely Easter gift!